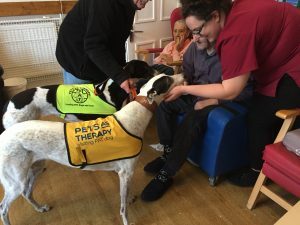 We have introduced ‘PATS’ (Pets as Therapy) at Trenant House and indeed for some of the residents its a great hit! 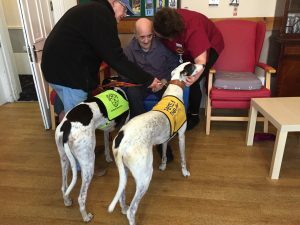 On this occasion greyhounds visiting us bought back some fond memories for one of our residents in particular who used to both breed and race dogs in his younger years. We offer an open and friendly atmosphere at all of our homes and our managers would welcome any questions you may have about our home and the types of care we provide.